← Had Scotland voted YES…. 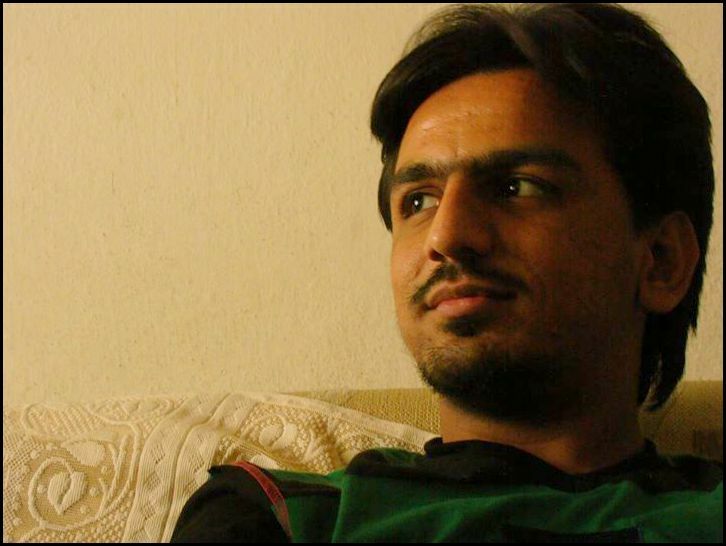 This is a post by guest blogger, Fazil Abbas. 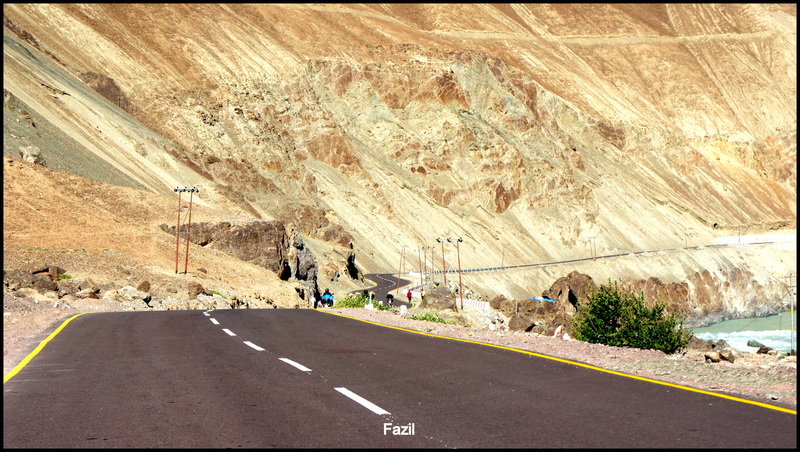 Leh – Manali highway. A 469 kilometer journey, considered as the holy pilgrimage by bikers, both from India and abroad. A journey that tests you as a rider, your ability to brace odds and your patience in hardships. It tests your resolve to reach your destination. Either it makes you or, guess what, breaks you. Because it is one of the world’s most extreme roads trips, as well as one of the most spectacular and scenic drives in the world. I was introduced to this route seven years ago when i watched a documentary about this highway. Since then, it had been my dream. Come July 2014, and i began preparing for this ride, which soon turned out to the ride of my life. The first step is the most important one. There are 1000 different things that can go wrong and one has to be prepared to handle them. And the best way to be prepared is through research. Research about the routes, read as much as possible about the route and places you plan to visit. I relied upon these websites, like DevilOnWheels, BCMTouring, and a host of other sites. The preparation for this ride is mostly mental as those conditions cannot be experienced in Hyderabad or other plain areas. The key is to study what you are going to face and be mentally prepared for it. (Read about Thailand story on Endurance here) Also i would recommend taking up stamina building activities before your trip. The trip requires a lot of effort if you are going on a bike and my advice is to try and build stamina as the conditions on the trip demand a lot of energy. Doe to the high altitude, there are chances of Acute Mountain Sickness (AMS). AMS affects our body due to low oxygen levels and makes our body difficult to adjust and adapt to the weather and height. Headache, vomiting, nose bleeding, nausea, breathlessness are common side effects. The most common route to Leh is via Manali. Most of the bikers choose this route, especially when number of days for the trip is less. 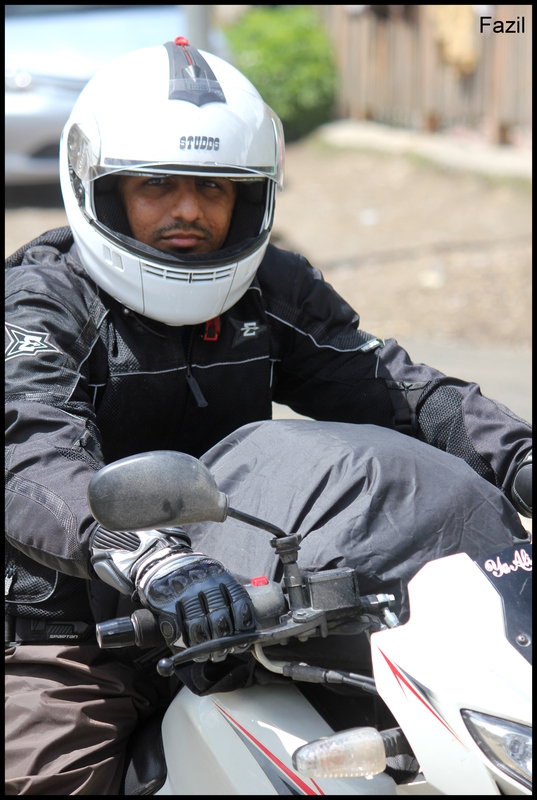 The starting point is usually Delhi from where a biker typically heads to Manali via Chandigarh. The Manali – Leh highway is done in two days with a stopover at Sarchu and the return journey is similar. However this route has its own drawbacks. Till Manali, altitude is not a worrying factor. Beyond Manali, it may become difficult for body to acclimatize within a short period of trip. Therefore you will find many bikers down with AMS when they reach Sarchu. As a result, they are forced to take a day off from the trip to acclimatize to the changed environment. Rest of the trip gets impacted as one needs to be extra careful even after recovering from AMS. 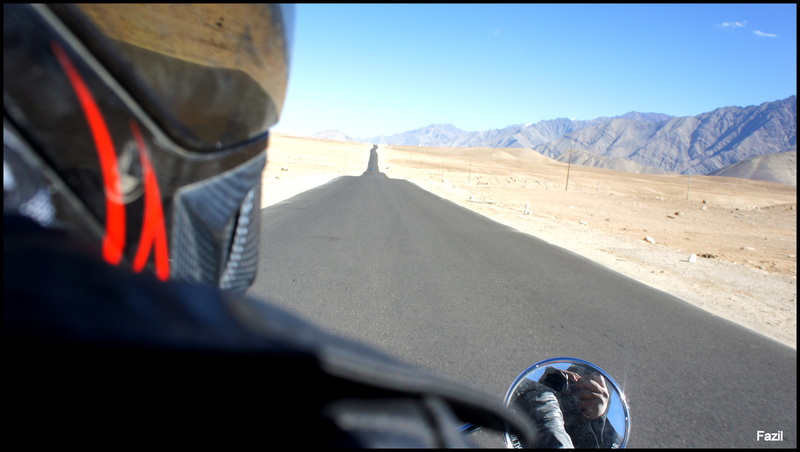 Due to the risk of AMS, bikers like me prefer the alternate route to Leh. The alternate route is via Delhi, Pathankot or Amritsar, Srinagar, Kargil, Leh, Sarchu, Manali, Chandigarh and then back to Delhi. The alternate route takes a few more days but is relatively safe as the altitude increases gradually until you reach the heights of Leh, Khardung La and other places. This gives sufficient time (and days) to bikers for acclimatization, and the risk of AMS is reduced to a large extent. Let me share an instance. Our plan for day 7 of the trip was to go to Nubra Valley from Leh via Khardung La, and stay there for the night. (Read about a trip to another beautiful Valley – Araku Valley ) Then from Nubra Valley, we were supposed to travel to Pangong Tso via Agham and Shyok village. 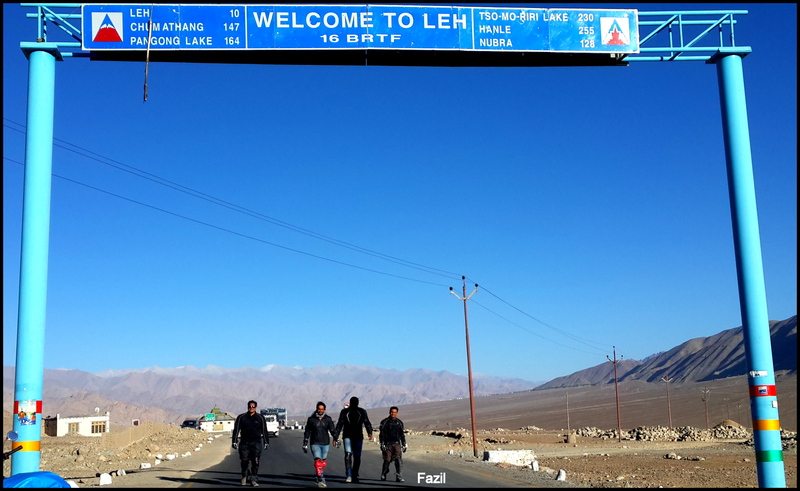 After reaching Leh, we came to know that the Agham and Shyok route is not only impossible but would take twice the time it takes from Leh to Pangong Tso. We had no option but to skip Nubra. This was a result of poor research by me. If i had done enough research on this route, i could have done Nubra. Always keep a few buffer days, considering factors like AMS, landslides, unpredictable weather, snowfall or even rain. There could be mechanical failures in bikes or flat tires. All of these may force you to abandon the travel plan for that day. We had to rush on the 11th night (riding from Manali to Chandigarh at night) as we were running behind schedule due to a flat tire on Leh – Manali Highway, and two of our fellow bikers were suffering from AMS. We completed our motorcycle trip in 12 days. But I would recommend to have at least 15 days for the trip. Don’t forget a day off in Manali on return to celebrate your success. Cheers guys! Plan for a day or two off in Leh if you are coming from Srinagar. The climate in Leh helps a great deal in acclimatization for the further journey. Leh – Manali route is at above 4000 feet and reaches its highest altitude at Tanglang Mountain Pass. Weather may vary from sunny in Leh to extreme cold in Zingzing Bar and rainy in Manali (if travelling in August). The only consistency en route Leh – Manali is the high altitude, bringing its own set of challenges, including low in oxygen levels. What do you do when you encounter temperature of -30 degree Celsius – A photo story. Now that you are aware of the climate you will encounter during the trip, let me give you some tips on what to pack. Rain covers for all bags and rain clothes. I relied on the following brands of clothing and accessories. Get your bikes serviced in Leh before starting on Leh – Manali Highway. Carry your prefered oil as you might not get it in Leh as they have limited stocks. I will post details of mechanics and shops i visited in the next few blogs. Keep a pipe during the trip to drain petrol. Also, keep a funnel, cutter, a pair of torches that run on batteries, extra pair of bungee cords and petrol container. You may also be required to keep some of the spare parts for bikes like tubes, spark plugs, clutch cables, accelerator cables, portable charger or bike chargers and most important – a toolkit. During this trip, you are expected to be in possession of the following documents: valid driving license, registration documents of bike, insurance papers of bike, class 10th certificate for date of birth, and identity proof document. Take a set of photocopy of all these documents. It is advisable to keep laminated maps of all the places and highways you will encounter during your trip. .
Do keep spare batteries for your cellphones and cameras. It is also recommended to carry a mobile mount if relying on GPS for tracking purpose. Have spare memory cards or pen drives with connector as probability is you may run out of memory space while clicking the photographs of the stunning landscape. Of course, you will definitely carry your camera & photography kit, without any doubt. A medical kit with tablets for headache, cold, fever, muscle and joint pains etc. I will recommend to carry glucose packets as well. Now you are now all set to undertake your lifetime trip. See you soon, enjoying the picturesque landscapes. Read another guest blog here – on Bali. Do you have a similar experience to share? Let us know about it. If you would like to write a guest blog for my site, drop a mail to me or tweet @suyashchopra1. I will be glad to share your experience with my readers. Till then Happy Traveling!!! This entry was posted in India, Nature, Travel and tagged Acute Mountain Sickness (AMS), Adventure, Bike Trip to Leh Ladakh, Chandigarh, Climate in Leh Ladakh, India, Kargil, Kashmir, Khardung La, Ladakh, Leh, Leh Manali Highway, Manali, Motorcycle Trip, Motorcycle Trip to Leh Ladakh, new delhi, Nubra Valley, Photography, Planning, Road Trip, Sarchu, Srinagar, Tips for Planning Leh Ladakh Trip on Motorcycle, Travel, Zingzing Bar. Bookmark the permalink. Great informative post mate. I booked my ladakh trip from Explore Himalaya. They were kind enough to give me discount for the group of 8 friends. I went though the post. Excellent details. Me and my friend are planning to go Srinagar-leh-manali around June. I have been reading a lot and i need some advice. I was not able to find the riding gears mentioned in your list in Amazon. I also tried the list in the comment section with no luck. Do you think we should pack for heavy cold around the time of June ? Whats your opinion ?? Hi Sandeep, I am so sorry you could not find for the items on Amazon. I would suggest to check the temperatures for the month and plan accordingly. Since these places are at high altitude, I would definitely suggest you to pack in warm clothes and accessories. Hope you have a wonderful trip. Thanks for visiting the post and I am glad you found it useful. I just wore normal pants. Nothing special. Worked well for me. Thanks so much Rohan for this piece of information. Really appreciate you sharing this info with everyone here. I am sure this will help lot of travelers aspiring for a bike ride to this beautiful land. I’m doing the trip with a friend in the next week or so. Super detailed thank you for the information! Would you recommend renting or buying a bike? I think we also want to explore elsewhere so buying would be a good option to feel less restricted by time etc..
What was the exact route by map that you had taken? Nice article. A little elaboration on point 7: there’s a new official Royal Enfield service centre in Leh now so your bikes can get properly checked out before the trip. Cheers. Thanks Rakshak for this info. I am sure it will help all bike enthusiasts planning a trip to Leh. Thank you Fazil for sharing such invaluable information. I’m inspired and a little scared too, I hope like every journey this too would be transforming. I’m heading north this May and plan to check this off in my bucket list. All the best dear for your trip. Drive safely and have lots of fun. Hi, I feel enjoy bike riding specially for ladakh. I had visited leh ladakh by bike with http://www.outbackmotorides.com it was very good trip with a group. I have undergone a shoulder surgery couple of months ago. Doctor has told me to avoid lifting heavy weights. Is it advisable for me to take on this journey? I am a girl and I do not know to ride a bike. Is it possible for me to go doubles with one of my friend? But he says there won’t be space in the bike because of the backpack. Please suggest me a solution. Dear Deepika, It is true that backpack occupies some space in the pillion seat. Unless you are traveling really light. Try having few more friends and bikes so that luggage gets divided and you get to ride as pillion on one of those bikes. You can also plan your trip during the summer months when you may not have to pack lot of stuffs. Try out few stuffs and may be talk to more people who have rode on this trip. Thanks for visiting my blog and I hope my answer provides you some solution. All the best for your plan and trip. very helpful details, suyash. One would be benefitted immensely with the details you had covered. Is it alright to go leh in first week of october by air delhi-srinagar?will be the climate favourable?or should i postpanned the tour for next next year? Leh-Manali highway usually closes in Oct end. It would be alright to go there in Oct first week. However it depends on you whether you can do it. Winter sets in by september end itself and there is snowfall by first week of Oct. I suggest you read the article given below and also get in touch with Dheeraj Sharma of Devil on Wheels who has more knowledge of the place than most bloggers. Hey Fazil, I know how it feels to enjoy freedom of riding. Congrats dude. Ur guide or tips will help in raiding the Himalayas. I am planning to cover Himalayan belt in October. You enlightened me by asking to gather more information before starting the ride. Enjoy freedom of riding. First of all, ,many congratulations !! In spite of hard luck with Nubra, I am sure you enjoyed every minute of your ride. Very informative blog post. Waiting for the detailed day-wise log if that’s possible. If you are a lazy duck like me, a comprehensive photolog will do as well 🙂 Thank you ! Thank you Aamir bhai and congratulations to you as well for completing this amazing ride. I would be posting the experience of the ride in two parts. Hope to get your feedback again. Cheers ! very nice and detailed post where you have covered almost all aspects of thrilling and adventurous trip… waiting for your trip experiences in your next post…. beautiful pics which tempt me also to visit… 😊… thanks for sharing Details Fazil…. Thank you Swapna.. I am sure you will have a great time with Suyash in Leh if you guys plan the trip someday. I highly recommend it.